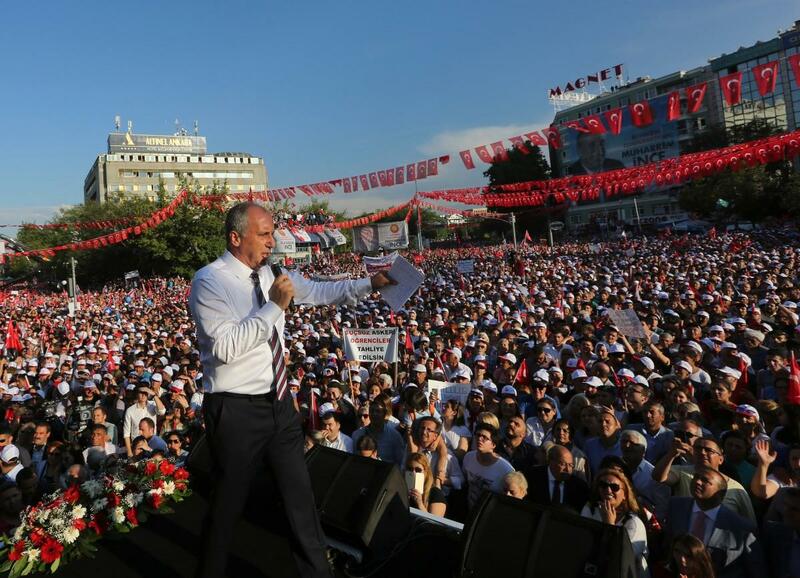 Mr Muharrem Ince drew a massive crowd to an Istanbul rally on Saturday, June 23, one day before the election. 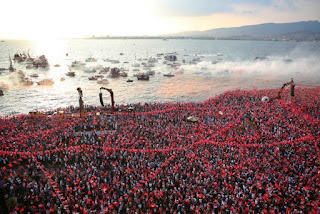 Even Istanbul Police estimated that over 5 million attended this rally, despite undemocratic obstructional measures taken by the Erdogan Government, including, halting ferry boats, which were bringing Ince supporters to the rally, censoring publications which wanted to report the event. People who clicked on web pages which reported on Ince speeches and events found the following appearing on their screen. The page you are looking for has been moved or does not exist. 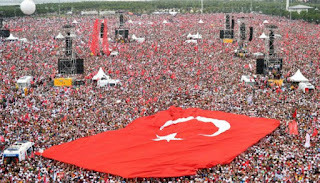 Mr Ince, a former teacher and the presidential candidate of the main opposition the secularist Republican People's Party (CHP), has proved highly effective on the campaign trail, drawing huge crowds, especially in the big cities. 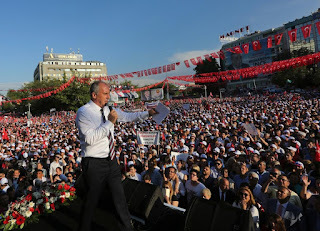 Mr Muharrem Ince repeated an accusation made by other opposition politicians of political bias by Turkey's state media, which has given Mr Erdogan and the AK Party heavy coverage, while often completely neglecting to broadcast opposition rallies. 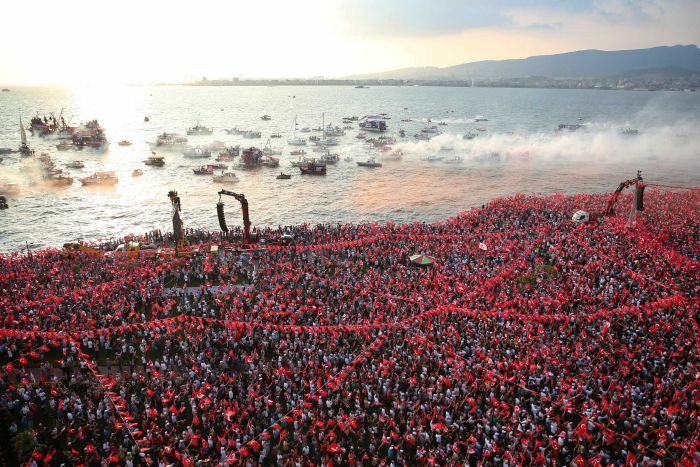 "There are 5 million people in Maltepe right now but none of the TV channels can show it," Ince said in Istanbul this Saturday, June 23. 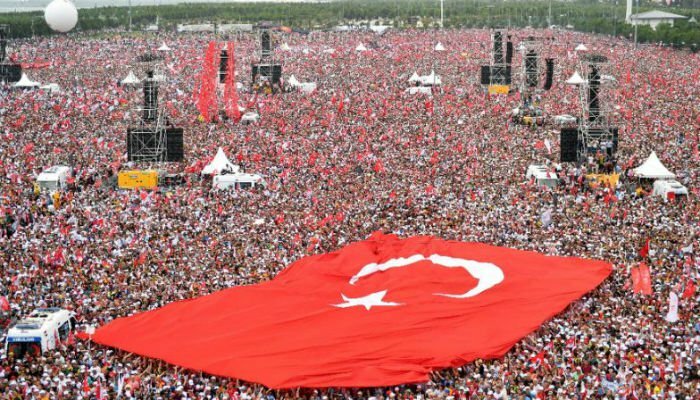 It is also remarkable and strange, that very few US and EU media outlets have provided hardly any coverage to the rallies of Muharrem Ince. Instead, the international Press provides a lot of coverage to "President" Erdogan, who has locked up more journalists than the Peoples Republic of China. Extra security forces and more than half a million ballot monitors and volunteers will be deployed across Turkey during Sunday's election. Unfortunately, large numbers of these security forces, monitors, and volunteers have been placed there by the Erdogan government, which, just like during the last referendum vote, makes fraud a major threat again during this Presidential election. The winner of Sunday's June 24 presidential contest will acquire sweeping new executive powers under a constitutional overhaul backed by Mr Erdogan and endorsed last year by a narrow majority of Turks in a referendum. as long as EU-Digest is mentioned as the source.